We could hear God today. Period. As I sit down to write this blog, I feel it an overwhelming task to try and summarize all of the experiences we have shared collectively as a group today. God has done some incredible things for each of us….and as a group together. What a day at Enaleni! God has spoken directly and almost audibly to a few of our team members today….through the affection of a child, a conversation with teenage boys, a walk down the road with a friend, or through the voice of a grandmother during a home visit. Today was very significant. For me personally today was a gift. My wife & I starting sponsoring a 4 year old boy that we had connected with when we began our relationship with Enaleni 8 years ago. A few year ago, his aunt who was his caregiver passed away and he had to move away. As I walked onto the grounds at Enaleni this morning….I was literally stopped in my tracks with my breath taken away as I saw him and his sister there. Precious had made contact with them through a few connections and they had travelled from a long distance away with their caregiver to see me at the carepoint for just a couple of hours. They could only stay until noon. I had an incredibly precious two hours to reconnect and remind them how special they are to our family and to God. What a gift! I also got to witness something remarkable today as one of our team members lived out a dream she has worked hard for since they day she returned from Swaziland last year. We addressed a real and practical need for the girls at our carepoints. I will let you read about it from Leigh below. 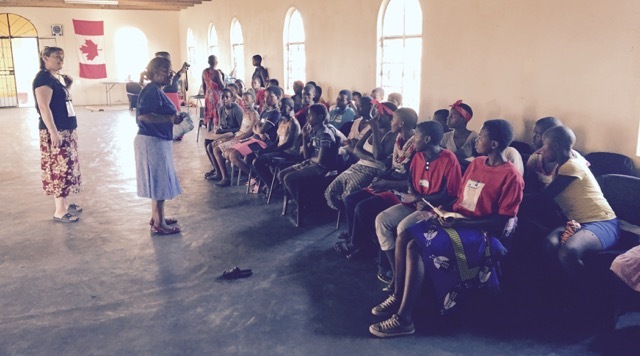 All I can say is it was an amazing picture of the kingdom of God as someone’s passion to advocate for these young girls translated into empowering them by taking something that is a hardship here in Swaziland and making it an opportunity to tell them how special they are! Amazing stuff. I also need to give a shout out to our construction team. We had a crew of 7 or so that spent the better part of the day digging the foundation for a new home that is being built at a homestead in desperate need just a short walk from the carepoint. We had planned on helping them fix up a few things, but recently found out that the structures on their homestead were beyond repair….and they said the only solution is to build a new home. While we haven’t quite got this figured out yet, we have moved ahead to start it. We are hoping to have the foundation poured by Tuesday! The project funds haven’t been raised yet but we will do what we can for now. The crew worked so hard and spent so much of themselves today under a blazing hot sun….but what a statement to be made to the community and to those we are in relationship with here….shoulder to shoulder. We have a few stories to share from the team tonight. Enjoy reading through. Tomorrow is a big day for us as we gather both the Bhobokazi & Enaleni kids together for a sports day at a large school in the city. It promises to be a crazy day! Thanks for the support….we can feel it! Be proud of this team….they are putting their whole hearts into these days….and as someone shared tonight with the group, it is incredible what God can do when we say yes to him….not just in the big moments but in the small, seemingly insignificant ones too. “Swaziland” a place where the Lord continues to show his face so clearly. He laid on my heart the need to reach out and give as much love and compassion as I could to these children and their caregivers. But He sunk the needs of the beautiful young Swazi women deep in my heart. It woke me many nights and haunted me daily. The idea of girls having to miss school because they don’t have feminine hygiene products is something so unjust….especially in a place where it is such a challenge to go to school. Today we delivered washable & reusable kits to the young women at Enaleni made by an incredible organization called Days for Girls! The Lord had his hand all over it. The staff nurse just happened to be visiting the Carepoint and gave them a talk on women’s health and staying safe. One of the carepoint leaders, Deli, then gave them such encouraging words. Telling them how precious each one of them is and to continue with school and look to their future. Then we handed each girl her own kit that will last three years. It was an experience beyond words. You could see the love, trust and admiration they have for Deli and the great care they are getting from the nurse. I know today they left feeling so loved and special and proud to become Swazi women. Today I saw a dream become a reality as I had started this process with Days for Girls almost a year ago. We brought along 100 kits to hand out this year. I am happy to say that I have my bag, it made it here and was very nice to have my clothes. I am sure others are happy as well. I have been getting many lessons on how to speak siswati. Slowly but surely I will be able say more words. It has been great, I have some awesome friends who have been helping me from both care points. As we were leaving Bhobokazi, one of my friends told me she loved me. It was so nice to hear, you see it but not always sure if it really is what you think it is. Once again I was able to celebrate my birthday here in Swaziland. What an amazing day! Thank you for all the birthday wishes. I was told that I was going to be getting water poured over me by my Swazi friends, since it was my birthday. I was not too thrilled about that until I found out it was a tradition. And they only do it for friends. Although I didn’t end up wet, the fact that they even wanted to do that for me was pretty cool. The kids sang “happy birthday” and “how old are you now” (to the tune of happy birthday). That never gets old. One thing that I have seen on this trip is the amazing works that God has done with these 2 care points since we started sponsoring in 2009. The friendships that have been building, the trust, and the love for one another. If I were to sum up this trip in one word so far, it would be LOVE! Which brings me back to my very first trip in 2012. The words I got from God that year was THIS IS LOVE. It is absolutely amazing to see how God works. Today I had the opportunity to share with the Swaziteam and the D-team something I’ve been pondering quietly for the past few weeks and hoped would be an encouragement to them. So, since I believe God spoke this to me directly, I’m going to be vulnerable and share it here since we are ‘His witnesses’. In the weeks leading up to this trip, I started struggling with doubt and some fear and in turn, feeling unworthy of serving Him, especially in this way. One day specifically, I felt the urge to read my Bible. I like the book of Isaiah so that’s where I started to turn. As I was flipping to Isaiah, the numbers 43:10 popped into my head. I had no idea what verse that was. Today was so good. I had the opportunity to visit a homestead. We pulled in and I looked around at the buildings and thought immediately of the physical needs there. We were greeted by the Grandma (Gogo) and she sat and talked with us. She told us about how there are 13 people living there. She said she was blessed by our presence there. As we talked I was struck by her faith and wisdom. Near the end of our time with the family we asked her what we could pray for. She caught me off guard. She didn’t say anything about the physical needs. She didn’t mention food or shelter or clothing. The only thing she asked us to pray for was that her grandchildren would grow up to know and serve the Lord. And I was challenged. How often do I ask God about minor details, but then forget about the truly important things? What a powerful reminder from a strong woman of faith of what is truly valuable. Like I said before, today was so good. Leaving it all on the field. Oh Leigh I am so proud of you and overjoyed that you saw your dream come to reality today after your hard work! You have truly changed those girls lives! I love the pictures of you today, you look so happy, beaming really like God is shining through you!! Can’t wait to read tomorrow’s post. How great you are doing this! I think helping girls get to school to get their education is the greatest gift one can give! Knowledge is power! Empowering the girls is truly an act of God(dess)! Hi team! Thanks for all that you did today, another day that was full of precious moments. Leigh you are inspiring friend! I love how God placed a burden on your heart, and you chose to obey and take action. When i see you in the pictures this year i see so much confidence and purpose, that God is raising you up to be a leader and a strong person of influence. Shine on my friend shine on, you fit into every place you go and you seem to be able to relate to each person young or old, so amazing. Stacey, you are everywhere!! In the trenches, scrubbing pots, and when not doing these tasks you have children clambering all over you. Whether you have ten children hanging off of you or one, your expression is one of pure joy. I am so glad that you are back, it is so obvious that you have a very special gift, and i love seeing how you are pouring your love on these precious children. They will not forget you. Jon, i am so happy for you. What a gift. Your little friends look beautiful and healthy. I hope your heart is encouraged. This team seems very special, and God will use you to do wonderful things, and in turn will do wonderful things for each of you. My thoughts and prayers are with you each day. Kailey, (belated) birthday wishes to you friend. Hope your cup is overflowing!! Benny, I love you dear one. I LOVE seeing you in the moment. making connections, and building relationships. You are very missed, but what a small sacrifice in order that you be there, giving wholeheartedly all that you have to give. Thanks for the daily pics and blog posts! Leigh, I so loved the pic of you with Ntando, so good to see his smiling face. Waving right back at you! Wow guys…what a fantastic day! So many good things. You are all God’s servants and like LeeAnn says, you are all His witnesses. 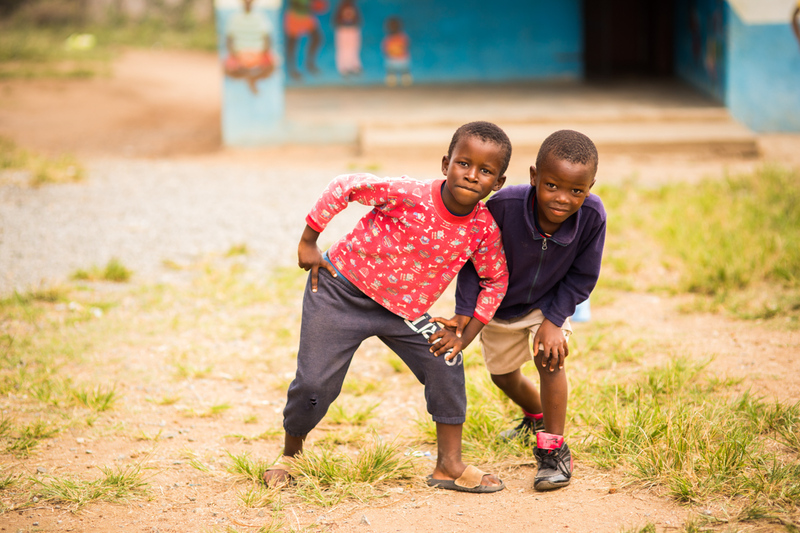 We are so thankful that so many of you decided that Swaziland is where you have to be right now. And as you serve Him you will be blessed as you bless others. Kailey, sorry you didn’t get water poured on you for your birthday…..that would have been so great for everyone else to see…..by the way, HAPPY BIRTHDAY. I thought of you today, but today is now tomorrow for you, its’ still today for us thought……just saying. Leigh, that is so cool how God works things out that the nurse would be there on the SAME DAY! But you knew when you left last year what you had to do. I am so thankful that you followed that prompting and now so many young women are blessed because of you. To every one working hard on that foundation…..so fantastic all the hard work you are putting in. Agnes, it was so great to hear that you are in Swaziland again! Bryan and Cheryl, so glad you got out of the Eiffel Tower or you would have missed all of this! LeeAnn, I really liked what you wrote in the blog. Thanks for sharing that with everyone back home. Can’t wait to hear about your day tomorrow. As Ingrid said in her comments to you guys, Play hard everyone! It’s pretty late as I write this but I made a beautiful woman in your group a promise that I would post something today and I intend to keep my promise…..it’s LeeAnn by the way…in case anyone was starting to feel awkward there for a minute. LeeAnn I will get to you in a moment but first, to the rest of you characters (I have been watching since the airport and “characters” is an apt description I think). Some of you I know very well through church life, through friendships and through my own trip to Swaziland a few years back. Some of you I know because you are my wife’s boss and thus knowing you is often unavoidable at times (all in good fun Jon). But some of you I don’t know well at all and that now fills me with regret because watching all of you work so hard, give so much and pour your lives into the people over there makes me want to get to know you. I am always absolutely amazed at the teams who serve on these trips every year and this one is no exception! As I have been reading your blog posts, praying for all of you and thinking about the Scriptures they have all started to form a thread in my head that I think might be relevant and encouraging to all of you. Our Lord cares about people (shocking I know). But hear me out. He told a story where He was willing to walk away from 99 others individuals to rescue and bring home just one. One. That is who he cares about. That’s you, me and every child and every person you are doing such an amazing job being Christ to over there. I am absolutely convinced that each and every one of you is making an impact on that “one” person over there and if anyone is tempted to doubt if God would go to such extraordinary lengths to fly you around the world so you go love just one whom He has chosen, don’t!! Seriously, don’t!!! Ask Moses, David, Elijah, Peter, Isaiah (I could on) They will tell you about how God will do absolutely anything for just one! I am so thrilled that this team is full of people who are making such a difference in His Kingdom and I am praying for strength, grace, endurance and steadfast determination for all of you. I also pray that God continues to use your experiences to mold and shape each of you into even more outstanding people! Now LeeAnn (the rest of you may want to put cotton in your ears or leave the room or something). You are quite simply the most extraordinary person I have ever had the privilege of knowing (and I have met a few doozies). I am so very proud to see you give everything you have to this. Your heart for these people is so astounding and never ceases to leave me in awe. Your fierce determination to love these kids (and people I’ve seen it up close, get out of the way when you learn to see it coming) is an example I try to live up to every day! Also your willingness to share your heart and be open and vulnerable with others, which I know doesn’t come easy for you, truly inspires me. You are the most wonderful example to our our children of what the “true religion” James talks about is. I think that years from now the example you are setting today will be the single most important gift you will ever give them because they already want to be like you. I think they are going to turn the world upside down and it’s because of the example you are setting with these wonderful people right now. Thank you for being obedient to the call God placed in your heart all those years ago. It has changed people over there, it has changed me, it is changing our children and I know it’s continuing to change you! I love you Honey! You continually astound me! Well that’s all from me for a bit everyone! Have a great day today. In short, you all rock, God is awesome, people are being changed because of all of you and LeeAnn thank you for what you are doing. I am so proud of you. Wow oh wow! What a day! I can only imagine how things were at the team meeting. Jon– I was thrilled for you when I read that you had special visitors!! Leigh– how perfect that the nurse was there today. I KNOW how much of your heart ( and sweat and tears) that has been invested in this project! Way to go! LeeAnn– thanks for sharing your heart and experience. Zach– what an experience! The homestead visits always leave a huge mark on your heart. What an awesome team you all are! It is fantastic following along with you! Keep listening and obeying! As usual– the photos are awesome! Glad; y all this is not like the American Lunar landing! U R not all just pictures and fakery! U’s R really there and doing this; esp U repeaters; who did not get it right the first time! Just Josh ing! – Warren ps Or Cal Joe ing ! Leigh … I love the initiative you took a year ago in response to a great need; how you searched & found “Days for Girls”, worked along side them and NOW were there to help hand out these kits to all of our teenage girls! Seeing how God has used you all year to get ready for this moment is truly inspiring! Kailey … Glad you had an amazing b-day! Your word for this trip – “love” – I’m believe sums up the experience well! It is shown so clearly through the team’s stories and pictures. For those of the team who are returnees – thank you for going back to love some more – you, being there is building the trust! For those of you who are new – thank you for taking the risk to go across the world to meet, love and serve a group of kids and people that were once strangers to you, but now … have become friends as well. LeeAnn … You are God’s witness! So glad you pushed through the struggles of doubt and fear to serve and have not held back! You were meant to be there this year & God is undoubtedly using you! Zach … Love seeing you in the midst of all the children! It looks like you are soaking up each moment! Love what God showed you today! Powerful lesson! Jon … thanks for your leadership of this team! I’m so delighted that you were given the opportunity to see Luketfo & his sister! 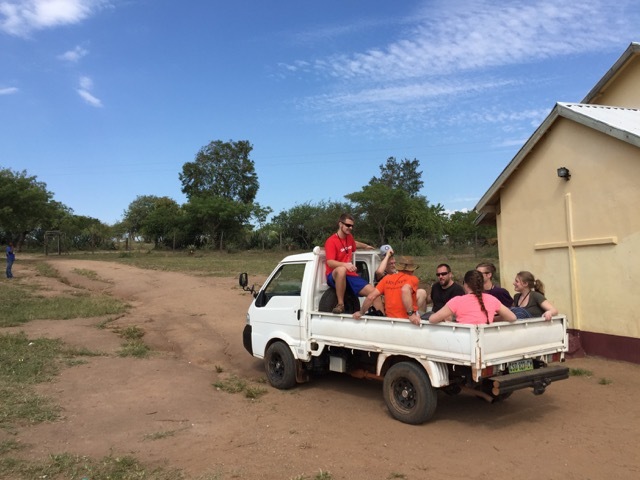 As leader, you are the one making sure everyone else has a rich experience (both Swazi’s and Canadians) and I’m so glad that you personally received this gift of a couple of hours with a little boy who was your “special friend” and has continued to hold that place in your heart. Again I am in awe of God and His amazing grace as I read & see your blog! Leigh your shirt says it all! 🙂 Thx team for sharing vulnerably with us about how God is working in all of you! So many poignant stories here and we love hearing them all! We’re praying for you all and love you dearly! Leigh! I’m so glad to hear how your day went yesterday. I hope and pray that you found time to just rejoice in seeing God take your hard work and dedication to the girls of Swaziland and bring that project to fruition. God has used you to meet a real need, in a real way and to communicate his deep care and love for these girls on the verge of womanhood. What an incredible thing! Still thinking of you and praying for you as you spend time in Swazi! You effin’ rock!!! !